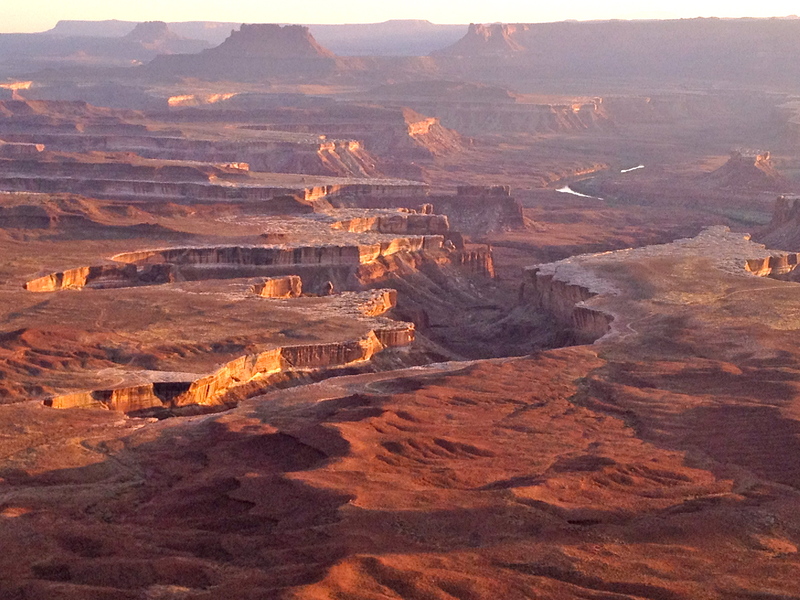 The basins of Canyonlands National Park from the Green River Overlook. Sunset. Evening’s magical light had waned once, returned to normal, and was now fading fast. Shadows crept into the canyons, stealthily chasing remaining light from them; White Rim Sandstone steadfastly held its glow. My heart was overwhelmed at the grandeur. 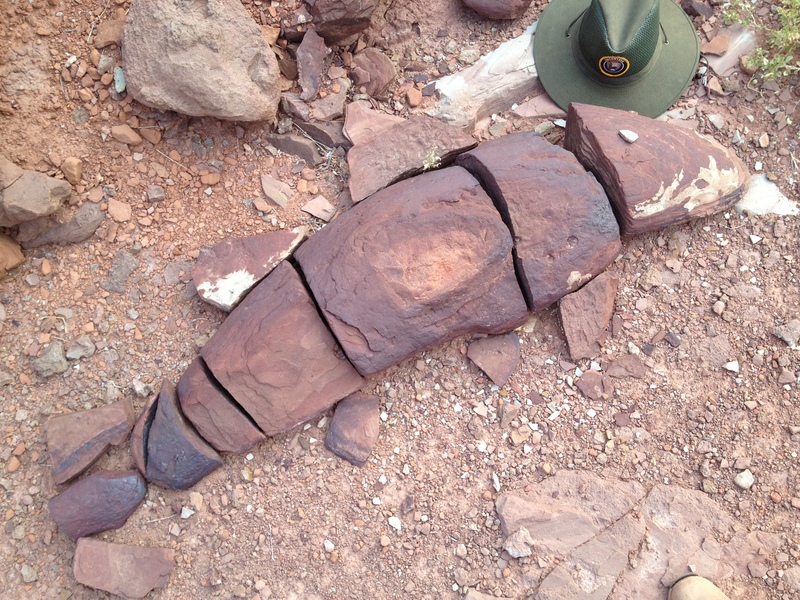 I pinched myself, again, at the unspeakable privilege of working in this national park. My joy is complete. A well-mannered crowd gathers at Green River Overlook to take in the solar eclipse. The solar eclipse was anticipated in our park for months. Sunday staff was added, programming put in place, and 40 or 50 solar viewing glasses were ordered. 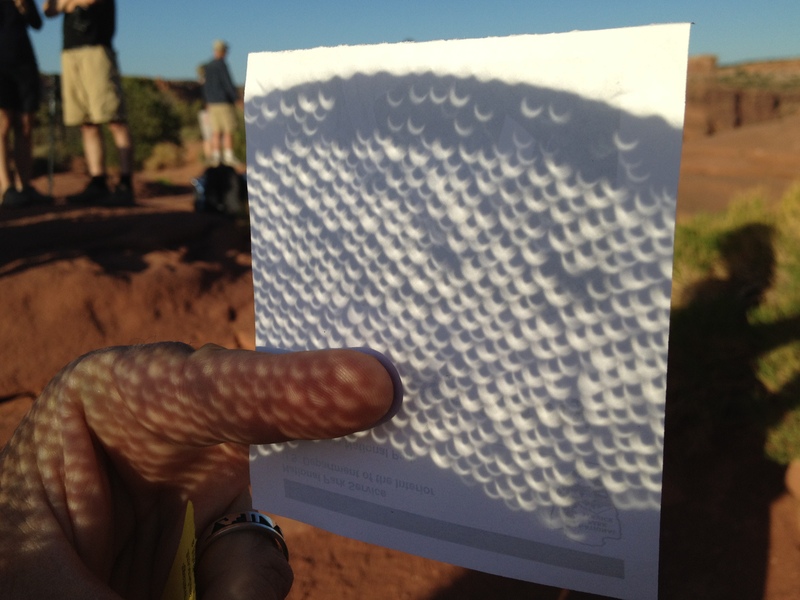 In Canyonlands, about 70-80% of the solar disc would be covered — impressive, but nothing like in Bryce Canyon or Zion, where 94% coverage would create the dramatic “ring of fire” of an annular eclipse. 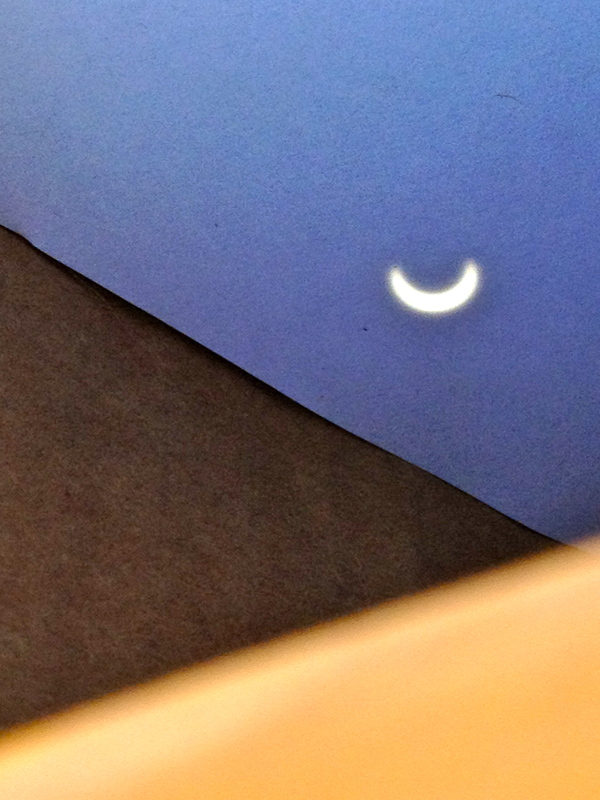 Through our home-made pinhole camera, the crescent sun is safely viewed. 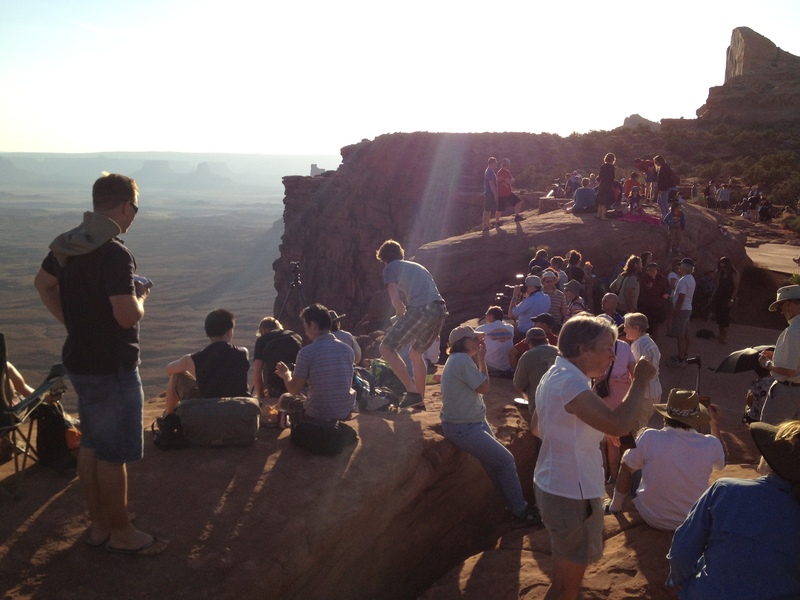 Nothing could have prepared us for the level of interest generated among visitors to Canyonlands. For an eclipse beginning at 6:30 pm, the parking area was full before 4:30. Around 300 folks gathered at the Green River Overlook, bringing lawn chairs, blankets, picnics, and excitement. They willingly shared the limited number of viewers we had available, and spent the next hours hanging out in a lovely place observing a rare celestial event. Families played games while waiting and watching. Pinhole cameras were devised. People made hand shadows, casting little crescents on the ground. And, at an opportune time, a small Midget Faded Rattlesnake slithered onto the scene to add to the festive atmosphere. Ranger Julia, who regularly gives a talk on reptiles, stayed near the foot-long youngster all evening to educate visitors about it and make sure no one harassed it. It seemed only a little confused by the crowd, generally staying underneath the blackbrush and Mormon Tea. A woven straw hat — pinhole camera times a thousand — creates crescents on a paper behind it. A small band of young boys made a loop snare from a piece of grass and caught an unsuspecting lizard. Ranger Julia intervened, creating a teachable moment for the kids and their parents. The moon continued its trek across the face of the sun, and the early-evening light took on a thin filtered quality that is unlike any other astronomical condition. Glasses were passed around; oohs and ahhs emanated from every perch. At its peak, for just a few moments, all the sun’s surface except a thin horseshoe of light was covered. The little rattler slithered to his next bush, oblivious. Visitors, joyful, thanked us for putting on an event like this. “It’s our privilege” was the only thing I could say as I pinched myself and walked to the edge to shoot a picture of the waning light. Our little rattlesnake youngster stayed for the entire celestial event. One visitor inquired “Did it come out because of the eclipse?” The answer is: No. Here in the southwest we mark our trails with neatly-stacked rock piles called cairns. When one follows cairns a lot, one becomes cognizant of the countless different ways stones can be piled up: messily, artfully, crazily, larger-to-smaller-ly, monochromatically, unbalanced-ly, demurely, or with a surprise on top. I’ve photographed many beautiful cairns in the past three years, each time with a nod of appreciation to its builder whose personality shines through in the making. Yesterday on the Alcove Spring trail I added a new adverb: FISHILY! Rounding a bend in my 11.2-mile hike, a rare desert carp occupied the trailside. Made my day. Whether an ichthyologist or an artist had a hand in this, I tip my hat to the one whose creative spark has brought many a smile along this daunting trail. Raise them to be bold! My mother-heart beats with conflicting emotions these days. Youngest daughter is just arriving in rural Uganda for a summer of projects and college internship, and I vacillate between thick apprehension and silent wonder. She is living at the equator in a tent on another continent, part of a small group of engineering students who will build a rainwater harvesting system for a primary school. Far, far, very far away. I guess I had a hand in this. My children were raised to try new things — whether that was exotic foods, foreign languages, jobs, musical instruments, or far-off destinations. The oldest had a passport by his first birthday. Is it any surprise that his sister is now halfway around the world doing what her heart tells her to do? Isn’t that precisely what parents hope to see happen? Fledgling young adults MUST discover their wings. This isn’t easy for them or for their mothers. Perhaps I’m secretly envious, as Africa is a favored place of mine. Perhaps I just want to be at her side, erroneously thinking I can offer protection from danger and discouragement. The struggle, however, is this: at the same moment I’m applauding my daughter’s willingness to be bold and confront her own fears, I’m chastising the choking glut of What Ifs that threaten to rob me of peace and joy. But wait. A pattern emerges. Was not *I* the recipient of similar “be bold” messages, a generation earlier? 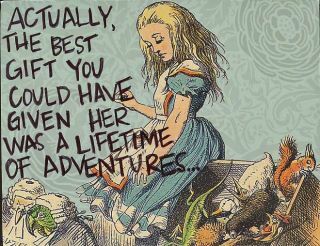 Didn’t my parents teach us six kids the value of exploration and adventure and confronting fears? Didn’t my own mother deal with a smothering load of What Ifs, and survive? Ahhh. Yes. Indeed. Someday, if I have grandchildren, I’ll watch the cycle repeat. Intangible gifts from past generations to future generations shape every one of our lives; choose well what you model. 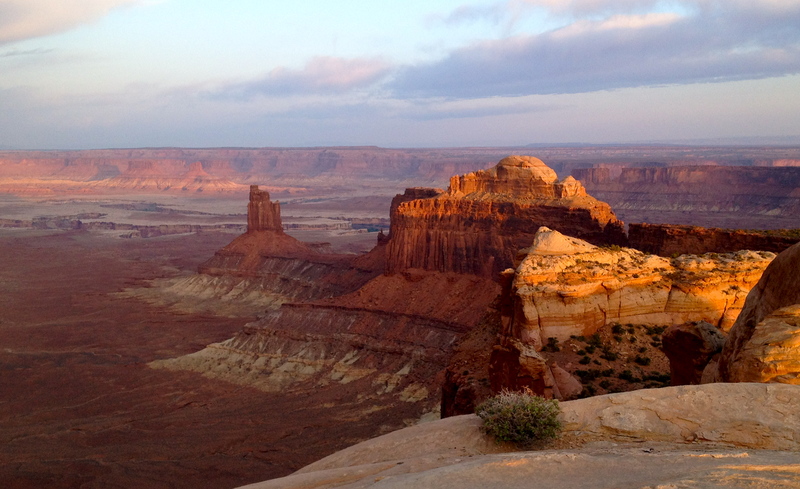 Sun’s first rays strike the formations west of Green River Overlook. When you want to see the sun rise in all its glory, you seek out a high place. Baby Half Dome, a knob of Navajo sandstone in the middle of the Island in the Sky district of Canyonlands National Park, seemed perfect. I’d been up there for a sunset a couple of years ago and knew I could find my way to the top again. Once you know the combination to the service road gate, all it takes is perseverance, the ability to follow others’ footprints, and some scrambling moves on a couple of sketchy places. The reward? Three hundred sixty degrees of stunning beauty. Complete and utter silence. Chiaroscuro lighting falling on the basins and river canyons below. A fresher, deeper realization of why I do what I do. We moms think about our kids on Mother’s Day. I sent this photo via text to my four children as my friend and I stood way up there on top of my little spot. And, in celebration of my own mom, may I say: Mother, all that you have poured into me over the years has paid off in spades. You are beautiful, intelligent, wonderfully supportive, funny, a deeply-motivated lifelong learner, and a very classy lady. Happy Mother’s Day; I love you. He walked into the visitor center with a long white cane and his son at his side, heading for the 4′-by-8′ relief map of Canyonlands National Park. I ambled over to welcome them. For the next ten minutes I had the privilege of seeing my park as a blind man does, and helping him see it as I do. We both came away richer. Nerve endings in fingertips number 2500 per square centimeter, the most dense concentration in our body. 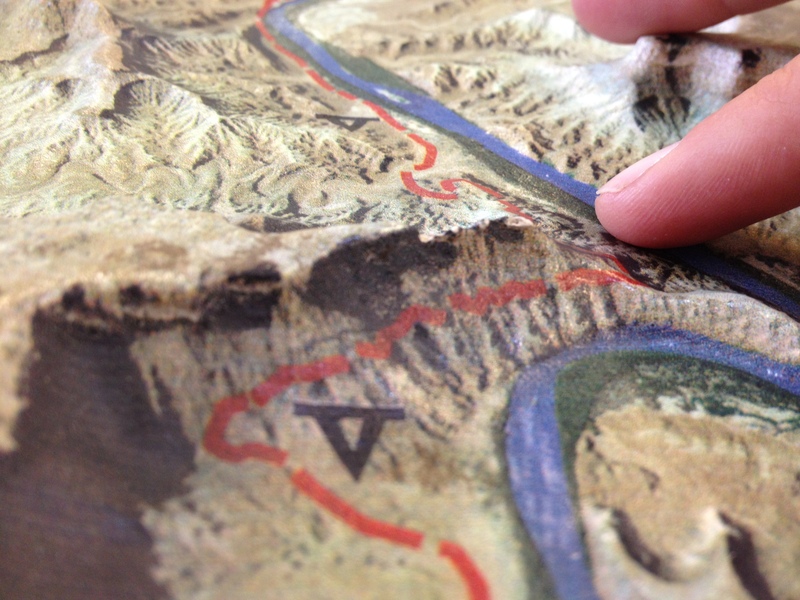 Here: Green River, Hardscrabble Hill, White Rim Road all stand out on our exquisite relief map. To answer his question “What’s the terrain like?” I guided his hand to the 43-square-mile mesa top that projects above all the surrounding canyons and had him feel its island-like quality. We spoke of pinyon-juniper pygmy forest, grassland, and gently undulating landscape laid down as ancient sand dunes. His fingertips explored the sheer cliffs that drop a thousand feet to the middle level of this district, where old uranium mining roads lure mountain-bikers and 4WD enthusiasts. I wondered what pictures were forming in his mind. To his inquiry “Where does all the water go?” I asked him to feel for the lowest part of the map. He traced the Colorado River and Green River with his finger as they meandered lazily through thousands of millennia of sandstone deposits; I described where they meet in the center of Canyonlands for the rush to the Grand Canyon. My own hand passed along the waterways in wonderment. Moving to another side of the table, the sensitive nerve endings in his fingertips discovered the incised canyons and rock spires of the Needles District as we talked about the people who inhabited that area eight centuries ago. Tales of Butch Cassidy and his outlaw gang hiding out from the law in the Maze District accompanied his exploring the labyrinthine canyons to the west. On a nearby table, the ridged keratin spiraling away from the top of the bighorn sheep skull disclosed Canyonlands’ ecology. While he will not see this majestic mammal, he knows it’s here and might pick up hoof-fall on the talus slopes below our overlooks. Likewise, his cheeks will discern the tiny breezes that I ignore, sight being the sense that dominates. He’ll hear the vast miles of openness; he’ll know south by a sun-warmed face. Satisfied with their orientation, son and father went forth to explore. I watched them go, deeply warmed by this duo’s anticipation of adventure and discovery in wild places, and by their refusal to let an impairment be an obstacle. Who’d have thought that a color could be so therapeutic?!? My plane landed in the middle of springtime in Minnesota and the thousand shades of green rushed in, almost to my nerve endings. It’s a color one can nearly feel, green is. Trees — real trees, tall trees, deciduous trees! — drew my eyes high, and lilacs beckoned me to bury my nose in a bush and breathe deeply. Every hair on my head began to curl from the humidity. 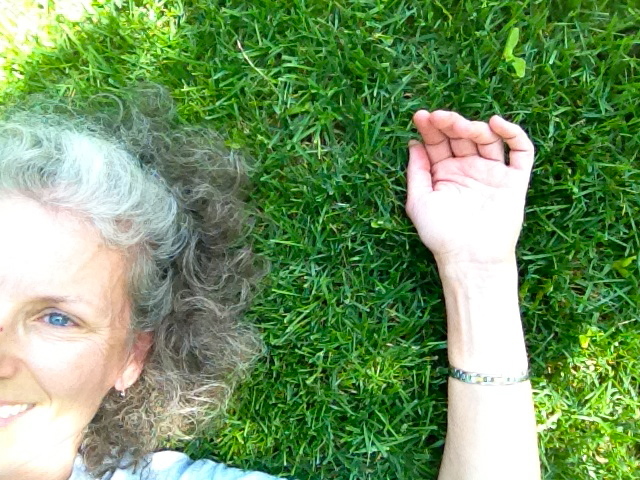 The grass beneath the maple tree wooed me. I didn’t even try to resist. I’d forgotten how much I love the month of May in the midwest. One of my daughters is graduating and that surely deserves a long weekend back home. Family is coming from near and far to honor her accomplishment. Rainstorms? They may interrupt the BBQ, but nothing — and I mean nothing — will dampen our celebration.